Please note that MicroHDMI cables also exist, but the one you need is the MiniHDMI which is just a bit smaller than regular HDMI. Unfortunately configuring the game is a bit different on Linux, Windows and Mac. I use Linux, so first I’m going to describe how to change game settings on Linux and then I will try to adapt the description to other OS’s using documentation I found online. Since VelociDrone is made using the Unity3D game engine, we need to look for the file in which Unity3D is storing the user preferences. The value for option (4) mustn’t necessarily be 1! A value of 0 means that the default display device will be used. 1 means the first external monitor, 2 means the second, etc. So if you have only one monitor (or use a laptop), your goggles are going to be monitor 1. If you have an external monitor already (or use two monitors with your PC), the goggles are going to be monitor 2 and so on. If the Commander is the last monitor you have connected then it will also be referred to by the last index, depending on how many display devices you have connected. That’s it! 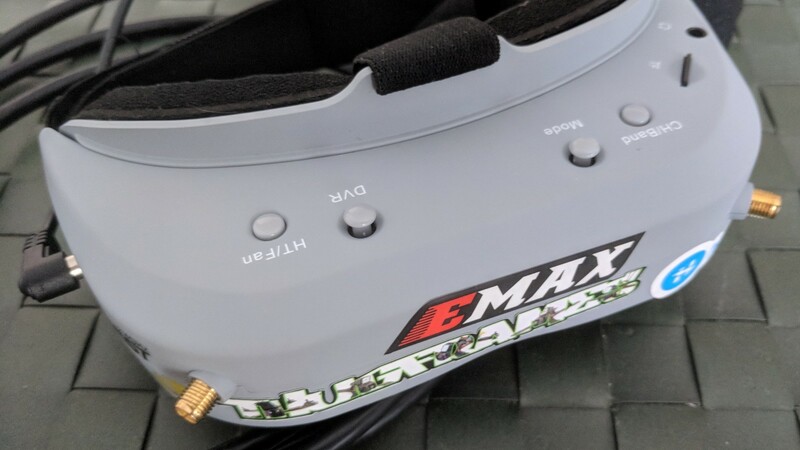 Now you can just connect your goggles and start the game. Don’t forget to select HDMI 2D input on the Commander using the Mode button! It should be self-explanatory how to edit it properly as the names of the settings are most likely the same. The names of the option values also must be the same.